Speculation on the iPad 3 release date has caused a price drop of used iPads on amazon. I myself have been considering picking up an iPad 1st generation for reading, and it appears the time is near where iPads will touch $250 on amazon. 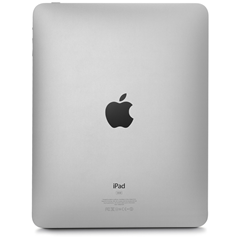 iPad 2 – 16gb Wifi is down to only $378 used. iPad 1 – 16gb Wifi is down to only $259 used. I have considered trying to get an even cheaper iPad via craigslist, but it is very hard to land an iPad for much less than these prices, and I just don’t think it is worth the time, gas, and effort. Also I can earn 4% back via credit cards and gas perks. Did I mention there was no tax on amazon?